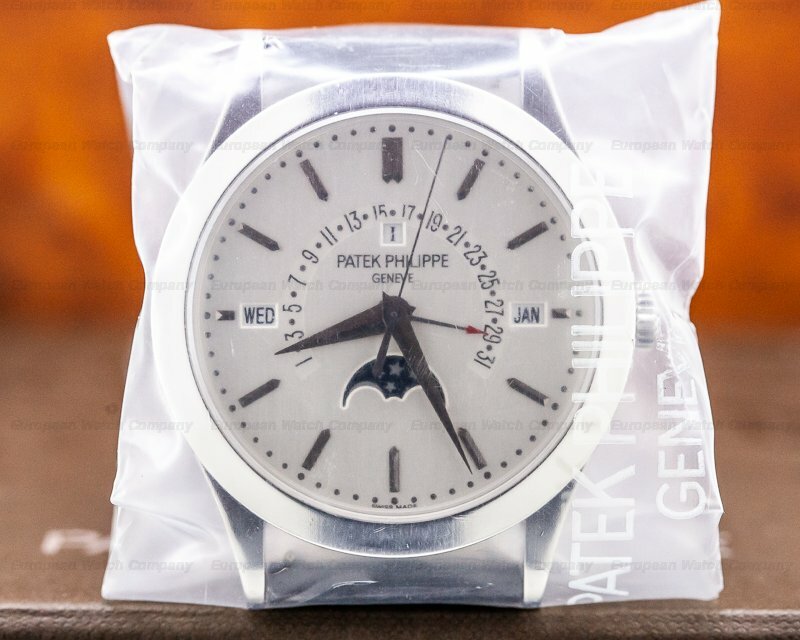 30089 Patek Philippe 5905P Complications Black Dial, 5905P-010, platinum case with a platinum tang buckle, automatic Patek Philippe caliber ch28-250 QA 24h movement, annual calendar displayed through the windows, flyback chronograph, black glossy dial with applied white gold numerals, sapphire crystal, display back, size 42mm, thickness 13.8mm. Like New with original box and papers dated November of 2015. 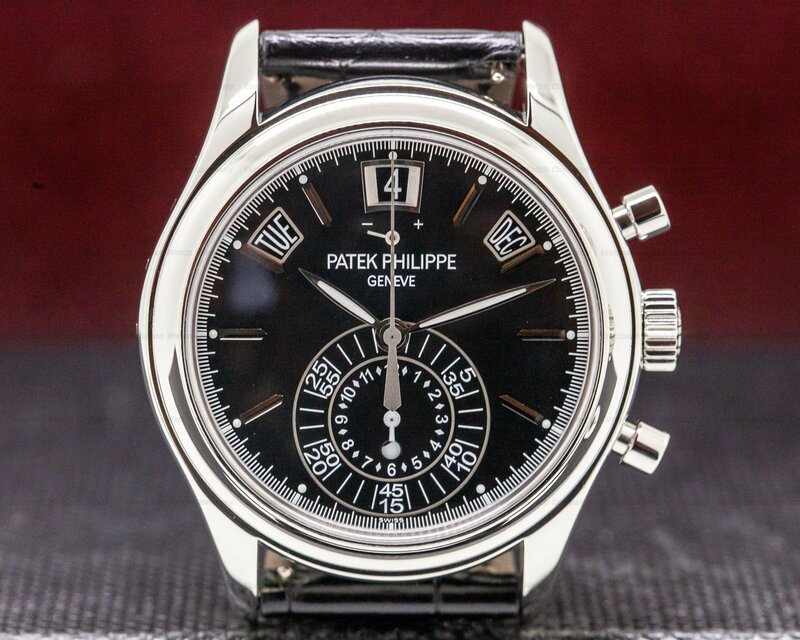 This is a platinum Patek Philippe Annual Calendar Chronograph, reference 5905P-010. 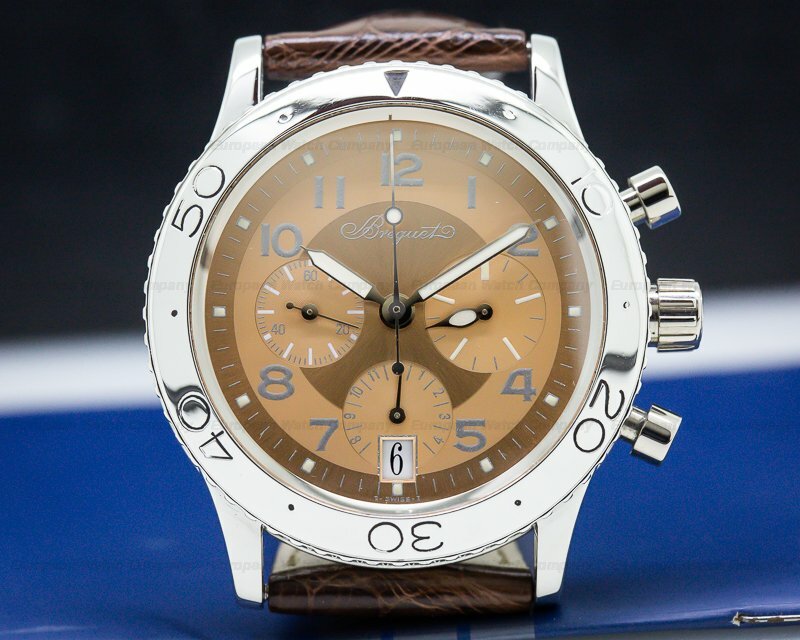 It has an alligator leather strap with a platinum tang buckle, and a scratch resistant sapphire crystal. 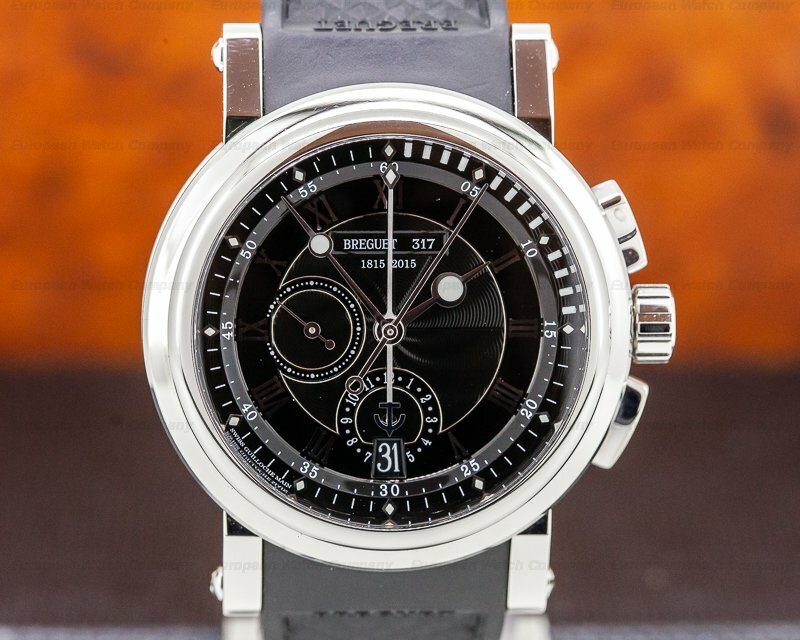 There is an exhibition sapphire display case back, rectangular fly back chronograph pushbuttons, and three correctors on the left side of the case for adjusting the calendar. 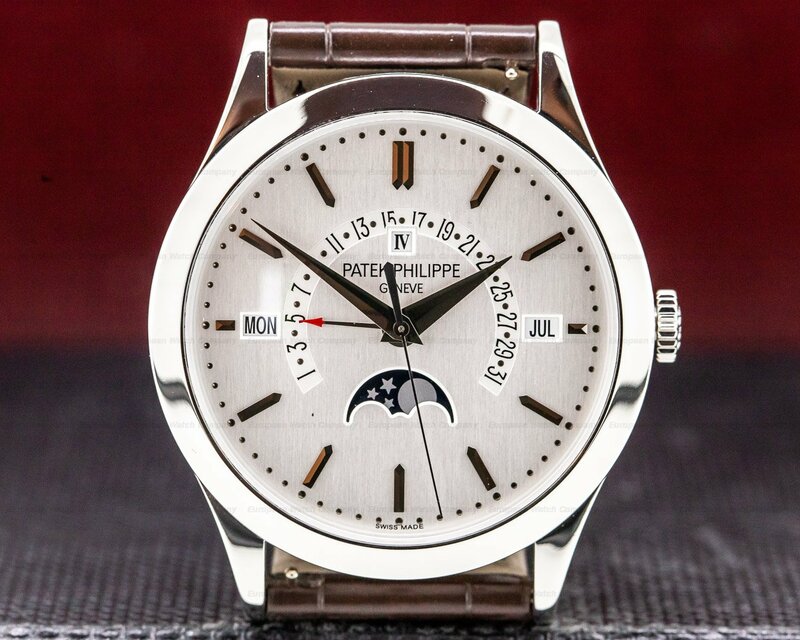 The 42mm diameter solid three-body case, downturned lugs, and angled bezel are polished. 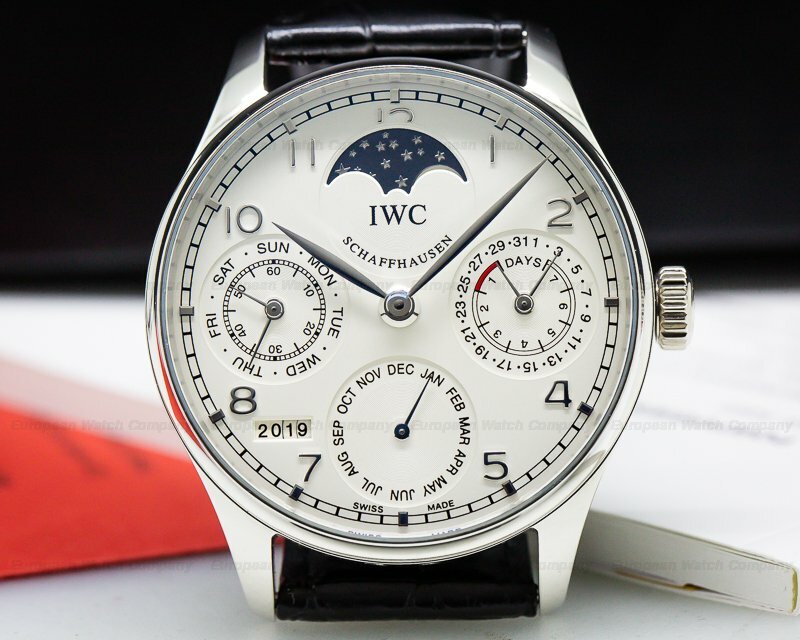 The dial is gloss ebony with applied white gold faceted baton hour markers and luminous dot indices. A minute/one-fifth second track surrounds the perimeter. 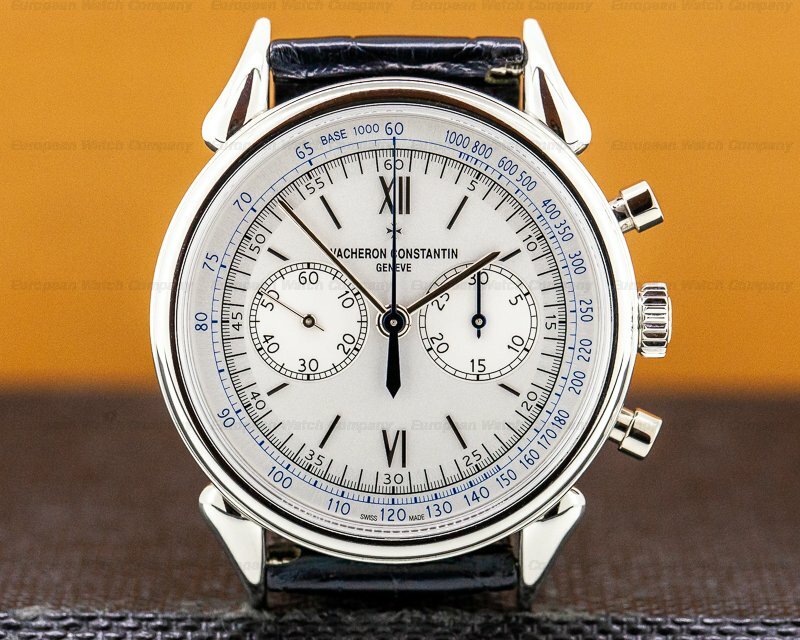 It has white gold alpha hands with luminous inserts, and a center sweep chronograph hand. There are three trapezoid aperture windows for the annual calendar, including the day at 10 'clock, the date at 12 o'clock with a day/night indicator, and the month at 2 o'clock. 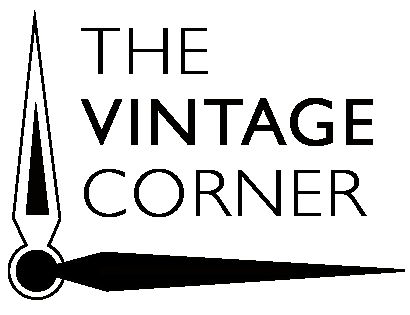 There is a subsidiary dial at 6 o'clock for the constant seconds. It's water resistant to 30 meters/100 feet, and it has a 56-hour power reserve at full wind. The 13.8mm thick case, dial, and movement are all signed. The mechanical automatic self-winding Pate Philippe caliber CH 28-520 QA 24H movement is rhodium-plated with fausses cotes embellishment. 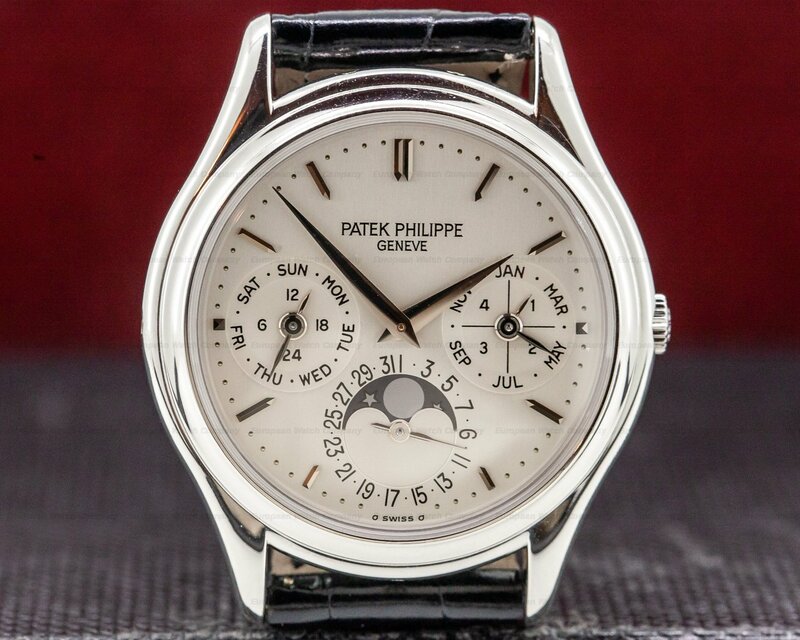 It's stamped with the Seal of Geneva quality mark and the Patek Philippe seal. It's constructed with 37 jewels, 402 components, and a shock absorber device. It includes a straight-line lever escapement, a Gyromax balance that's adjusted to heat, cold, isochronism and 5 positions, and a Spiromax balance spring. It has a 21K gold rotor with oil-free ball bearing and zirconium balls. The mechanism oscillates at a frequency of 28,800 vph (4Hz). 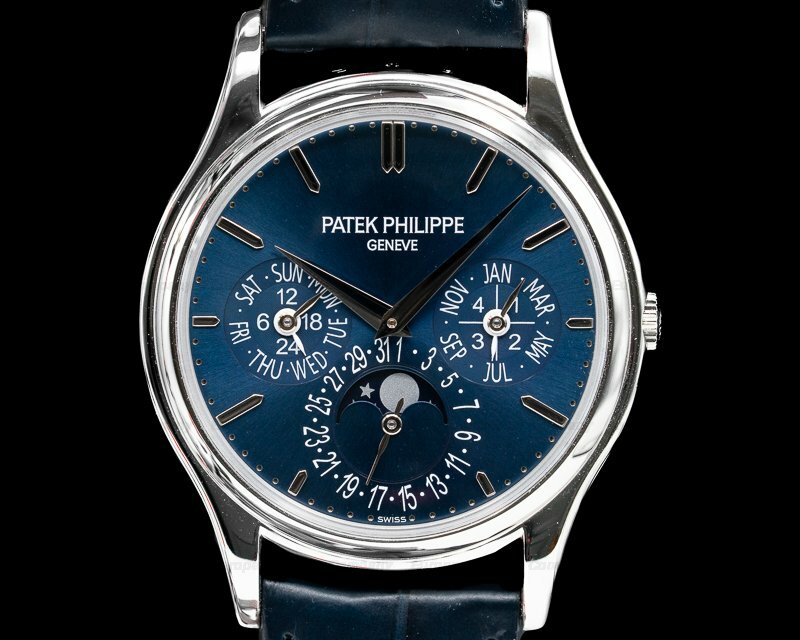 Patek Philippe produced its first self-winding chronograph in 2006. 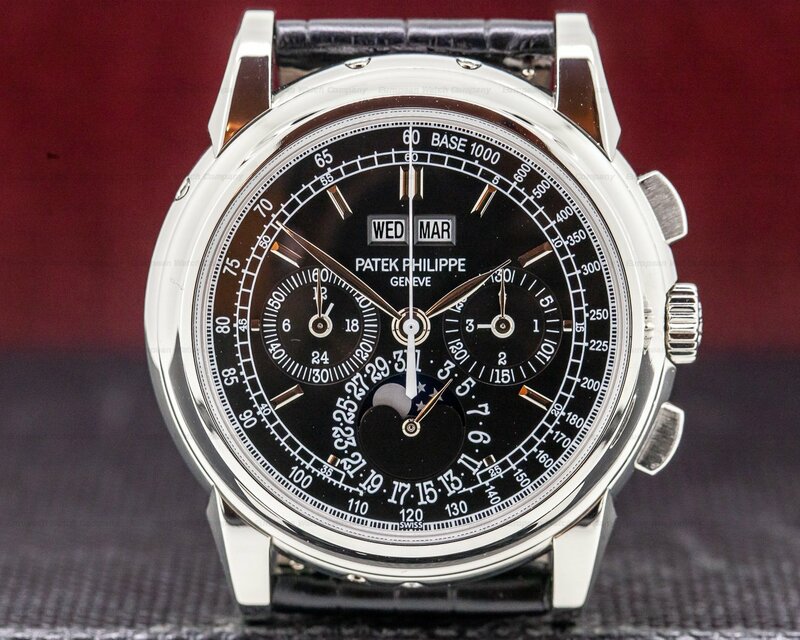 This Patek Philippe Annual Calendar Chronograph, reference 5905P-010, made its debut at Basel World in 2015.